The Sukreswar temple is built on a hillock on the bank of Brahmputra called Hasti or Itakhuli place for Rakshas Guru Sukracharya. 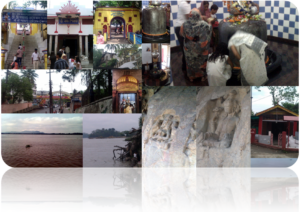 Present temple was built by Ahom King Pramatta Singha and later Raheswar Singha in 1759 near Pan Bazar. Shiv Ling is about 4 feet one of the largest in India. Back side of temple is a Sukreswar Ghat on the bank of Brahmputra river. This is another site for pind-daan during new moon day to please departed fore-fathers.